5 years ago, it was acceptable to order something online and wait... Now, most people won't purchase something unless they know the exact time they will receive that good or service. Customer expectations have changed. Keep your customers on the same page with beynd. Funnel multiple templates into a project plan that represent different stages, products, or services you are launching. 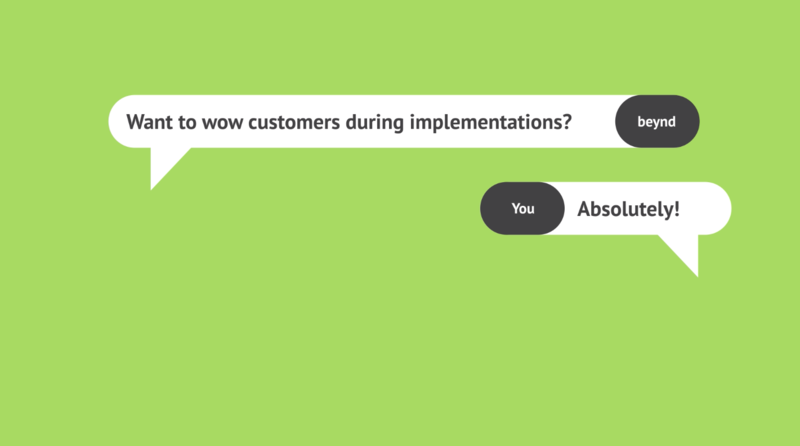 Invite customers and third parties to join in on the project experience. If they don't accept; no problem - updates can be made to the project via smart email templates. Put your onboarding process on auto-pilot by relying on dependency logic to send notifications and set due dates for the next in line. Project updates keep stakeholders accountable to each other. 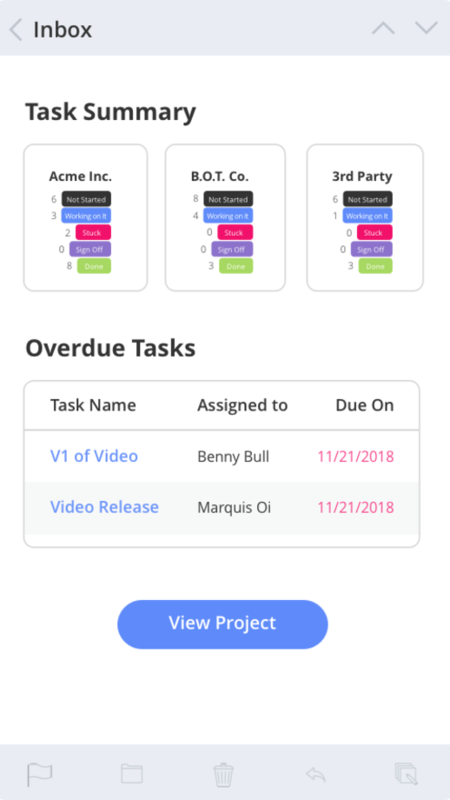 Complete tasks, attach files/hyperlinks & communicate with customers, team members & third parties seamlessly from a single platform. Enable your team to engage with customers and self-serve, allowing you to do more with less and see projects launch faster. Our client implementation software was created to facilitate a more transparent, customer-facing project management experience for all parties. We serve both technology and services based businesses that want to provide a user friendly tool that drives engagement with customers and creates a more efficient team management experience. At beynd, it is our goal to help every party achieve a successful outcome during the client onboarding, implementation or add-on/renewal process. beynd allows us to take what our best implementation specialist are doing and duplicate that across our whole Customer Success team. The result; a more engaging, predictable, and streamlined customer experience. Net Promoter Scores have sky rocketed. 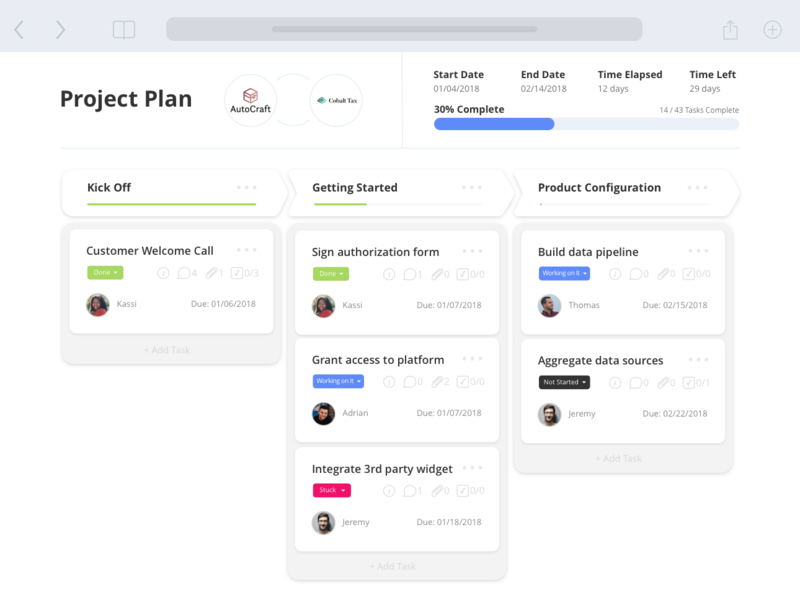 "beynd has helped us streamline the onboarding experience for our customers by simplifying and automating both task-level and project status communication." beynd facilitates a seamless transition between your sales, implementation staff, and customers by keeping everyone on the same page.